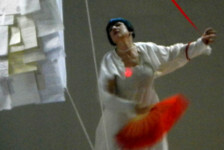 Anna Sperber is a performer and choreographer based in Brooklyn, NY. Sperber’s work explores rigorous, intricate, gradually shifting patterns to get at a deeper energetic layer of expression. Using a combination of technical rigor and improvisation to generate a deep rawness of emotion through endurance, Sperber’s investigations into shaping energy and momentum within given architectural spaces continue with A Superseded Third. Her work has been presented at The Kitchen, Dance Theater Workshop, Baryshnikov Arts Center, The Chocolate Factory, The Brooklyn Museum of Art, Joyce SoHo, The Ronald Feldman Gallery among many other venues. 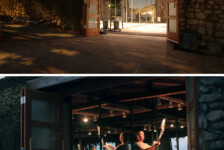 Sperber is a 2013-14 BAX Artist In Residence. She was a 2013 Artist In Residence at The Gibney Dance Center & a 2006-08 Movement Research Artist In Residence. In 2008/09 she was selected as a resident choreographer of Sugar Salon, a program of WAX with the Barnard College. Her work has also been supported by residencies through Lower Manhattan Cultural Council at Governors Island, the Harkness Dance Center at the 92nd Street Y, and the Experimental Television Center. Sperber’s has collaborated with composers Mario Diaz de Leon and Nate Wooley, lighting designer Joe Levasseur and Thomas Dunn, video artist Jay King, and has collaborated extensively with artist and musician Peter Kerlin. As a performer she has worked with many NYC based choreographers including luciana achugar, and Juliette Mapp. Sperber is a co-founder of classclassclass. She founded and runs BRAZIL, an intimate studio and performance space in Bushwick, Brooklyn. 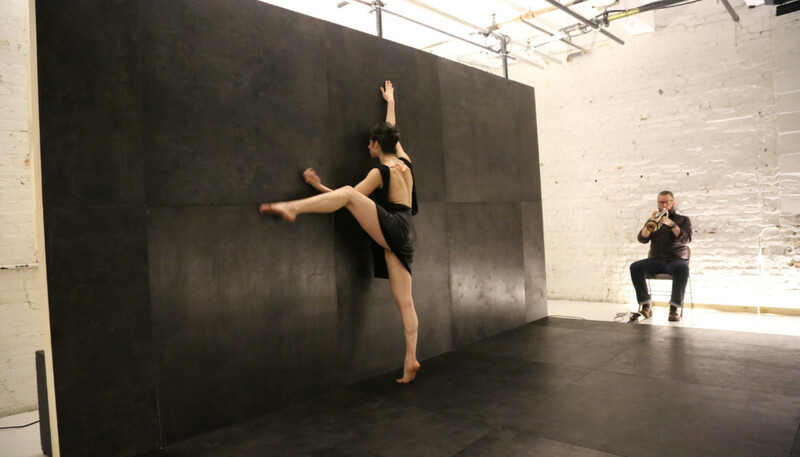 The Superseded Third is an evening length dance performed by Molly Leiber and Anna Sperber situated within Thomas Dunn’s stark minimal set / installation framing and creating a pathway for the performers. The audience faces each other seated along each side of the work. Sperber’s work utilizes the power of the collective force of bodies moving in space; examining the experience of the singular and collective body. The work explores what we project and asks what we can glean from how we see ourselves in each other. This dynamic is laid bare between the two performers, and the performers and the audience; illuminating what is between two people, as it becomes a potent third thing. The music is composed by Sperber’s long-time collaborator, Nate Wooley. In The Superseded Third Wooley has composed a piece for trumpet and live singers. Embedded in the audience, they work with the unique acoustic properties of the performance space to create layers of sound that fill and charge the room. At times creating a crowded sonic landscape, at others providing the feeling of a vast open terrain enhancing the immersive and intimate experience of this work.